What does Daryush mean, details, origin, short & easy attributes? Daryush pronunciation in 20 different native languages. Daryush is baby boy name mainly popular in Muslim religion and its main origin is Arabic. Daryush name meanings is Name of persian king. Daryush is written in Urdu, Hindi, Arabic, Bangla as دریش, दरयुष, داريوش, দার্যুশ. Other similar sounding names can be Dar, Dara, Darab, Darakhshan, Darim, Daris, Dariush, Darmal, Darman, Darrak, Darvesh, Darweesh, Darwesh, Darwish, Daryab, Dara, Darakhshaan, Darakhshan, Daria, Dariya. Popular personalities with Daryush Name. Roosh V is a writer. 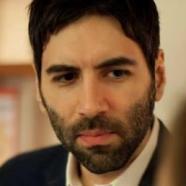 Roosh was given the name Daryush Valizadeh on June 14th, 1979 in Washington, D.C., United States. 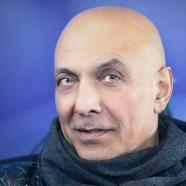 Daryush Shokof is an artist, filmmaking, and filmmaker. He was most active from 1990 to present. Daryush was given the name Ali Reza Shokoufandeh on June 25th, 1954 in Tehran. Daryush is also known as Alireza Shokoufandeh.